Telephone counselling is potentially free of certain constraining factors that affect traditional therapy, making this form of counselling more accessible for a number of people who would be unable to attend traditional psychotherapy. It also provides a degree of anonymity, if you wish. It is comforting, because it reduces the intimidation that some people may feel at the prospect of seeking treatment with a traditional face to face therapist and encouraging disclosure. Before starting the procedure to place an appointment for a telephone counselling session, please, make sure you visit the page entitled "Basic considerations with online therapy." Be mindful of any time difference between your local time and ours when requesting an appointment. At the left-bottom of this page you’ll find two clocks which will help you estimate the time difference. 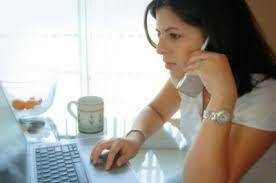 The duration of a telephone session is approximately 50 to 60 minutes and the cost is 60 euros. There is also a reduced rate, 45 euros, for intense therapy (four sessions per fortnight). Details of fees and method of payment via PayPal you' ll find by clicking here. PayPal will, also, give you information about current conversion rates if your currency is other than euro. We may need to call you so that we can confirm the appointment, or you may call us at 0030 2104296270 to clarofy any quiries you may have. Finally, we’ll call you at the specified day and time to conduct the counselling/psychotherapy session. It is advised that your telephone is placed somewhere privately so that there would be no interference from other persons.